Inspired by the exclamatory term coined by the eccentric Sheldon Cooper in the sitcom The Big Bang Theory, Bazinga is a new store in Anna Nagar East. 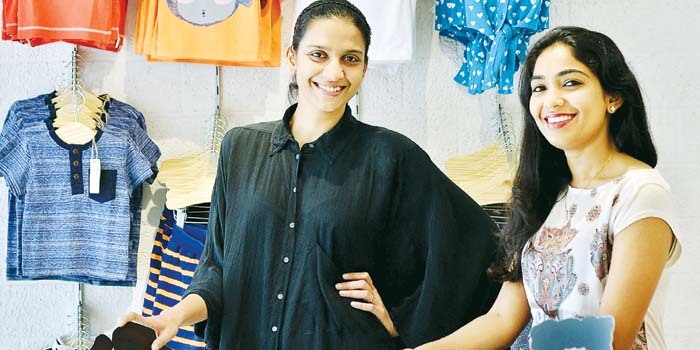 Started by Ashrita Keshav Preetham and Lekha Rajeev on October 17, the store offers tees featuring mischievous faces, among other childrena��s wear. Armed with a masters from the Birmingham Institute of Design in UK, Rajeev says, a�?One of the feedbacks wea��ve got is that once the clothes are on the kids, they dona��t want to take them off. We soure from an international supplier who works with a lot of German brands. So in terms of quality, ita��s not going to fade, and ita��s got very sturdy construction, too. We guarantee a minimum of five washes.a�? Made from 100 per cent knit fabrics like jersey and pique, expect polos, collared tees and track pants featuring little dinosaurs and stripes for boys, and smart skirts, frocks, tops and full sleeved tees for girls, with rabbits, hearts and stars, besides accessories and stationery. With more stores in the pipeline for the city, they plan to launch a baby section by December, and a limited-occasion wear line. For children between sixA� months and six years.